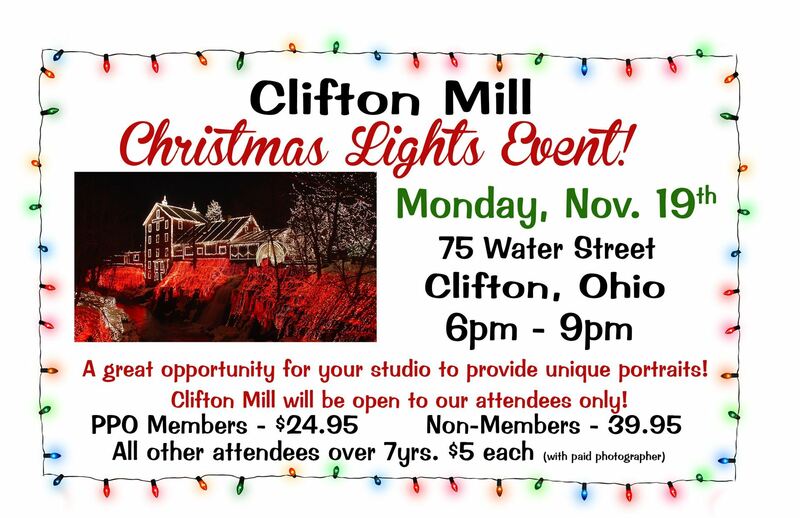 Professional Photographers of Ohio - Clifton Mill Christmas Lights! Come walk the BEAUTIFUL grounds of the historic Clifton Mill. We will have exclusive access to the grounds that night. You must pre-register for the event. No walk in registrations accepted. Registration ends Sat., Nov. 17th. If you want help with registration, call Susan at 614-407-8PPO. Clifton Mill Christmas Lights Event!